Improve productivity. Reduce costs. Increase profitability. With the ever-changing marketplace that companies and specifically OEMs face, the need for flexible, cost-effective and easy-to-implement solutions is becoming more important. Whether it be PLC control, Automatic Identification or something as simple as a sensor, today's product solutions need to allow you, the machine builder, to be able to quickly and easily scale your unique solution to fit the customer's needs. In order to do this, you'll need the right mix of technology along with the support to help you implement it. 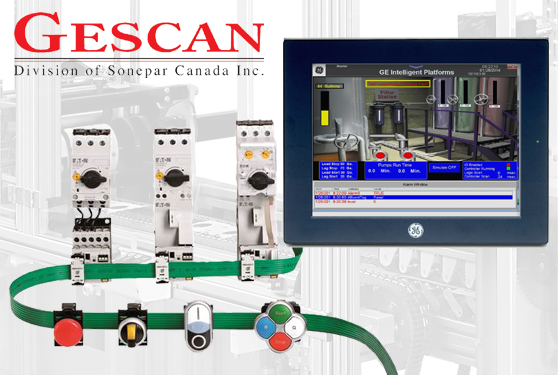 To leverage scalability, imagine a system designed to use the Operator Interface as the PLC and a universal I/O Platform allowing you to easily implement any customer standard. Add to this, a control cabinet wiring solution that dramatically reduces most of the actual wiring, thus reducing the time to complete the panel as well as errors and most importantly allows the PLC to talk directly to the control devices over your communications bus of choice. This technology, along with many others can help improve the profitability of any OEM.